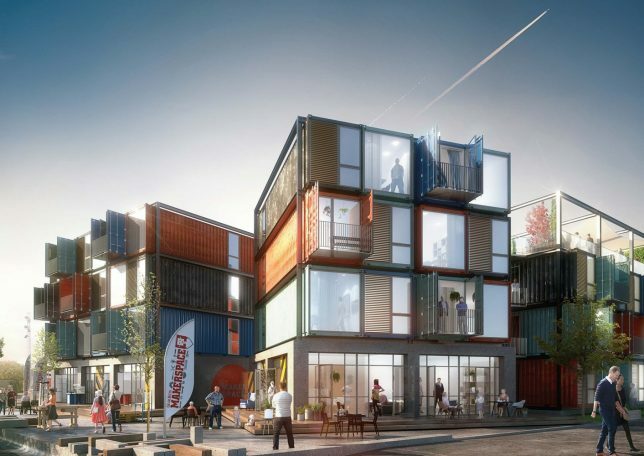 Taking advantage of the affordability, accessibility and modularity of shipping containers, these architectural projects envision radical new ways to expand houses, elevate slums off the streets, occupy disused industrial sites or just make it easy to insert both a hot tub and swimming pool into your backyard with minimal effort. 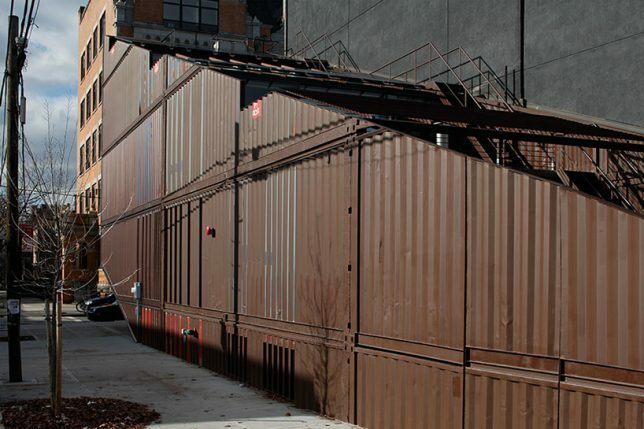 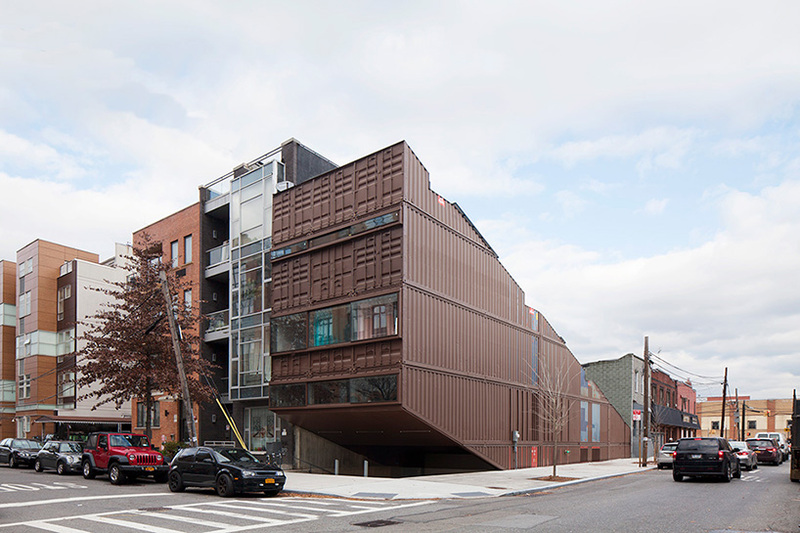 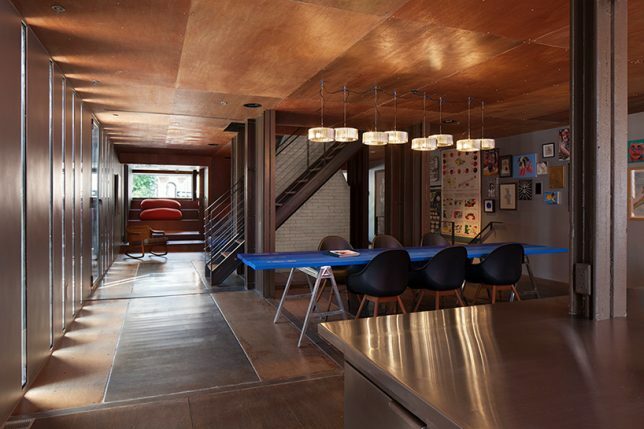 Sliced and reassembled shipping containers create an angular home rising from street level in Williamsburg, Brooklyn as if wedged into the ground. 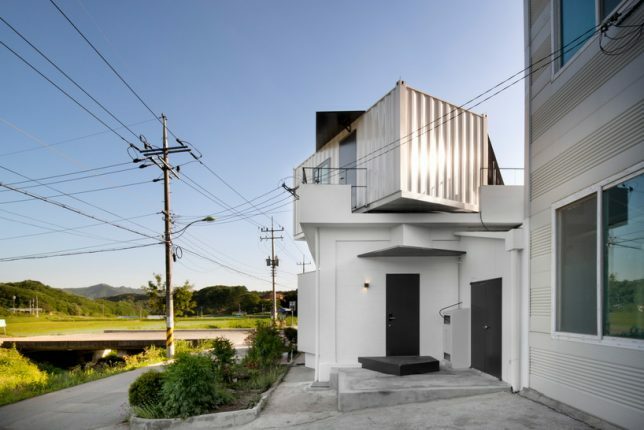 Containtertecture firm LOT-EK retained the recognizable form of the crates, but eliminated their boxiness, reassembling them in a way that produces a spacious interior and a series of terraced outdoor spaces on the sloping roof. 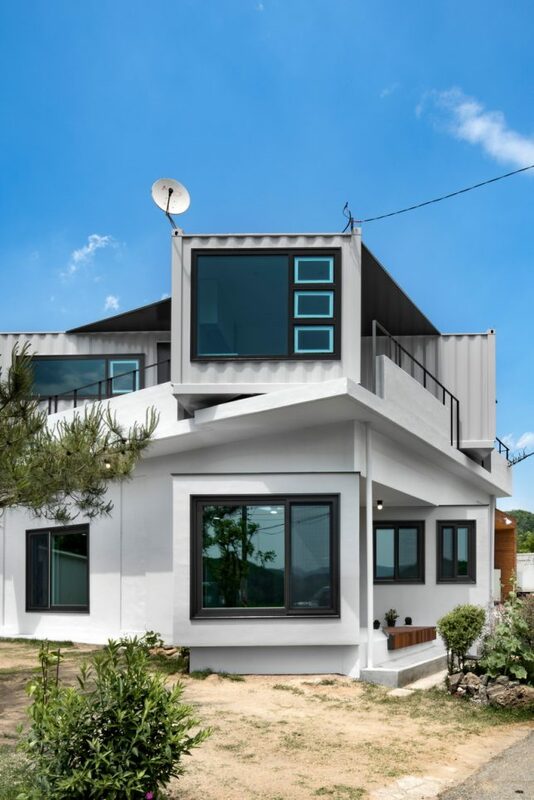 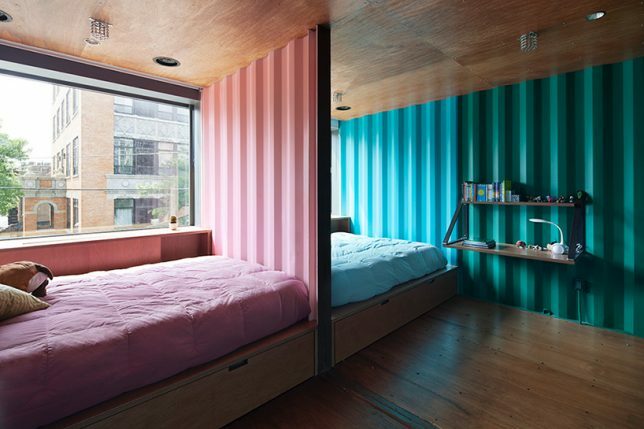 Two shipping containers sliced into each other in a cross shape add extra space to an existing home in Korea. 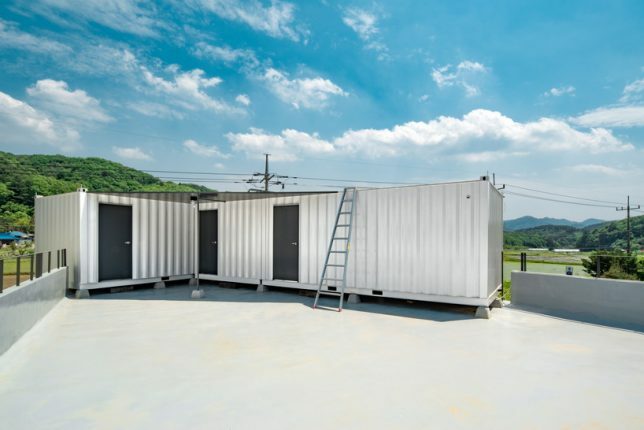 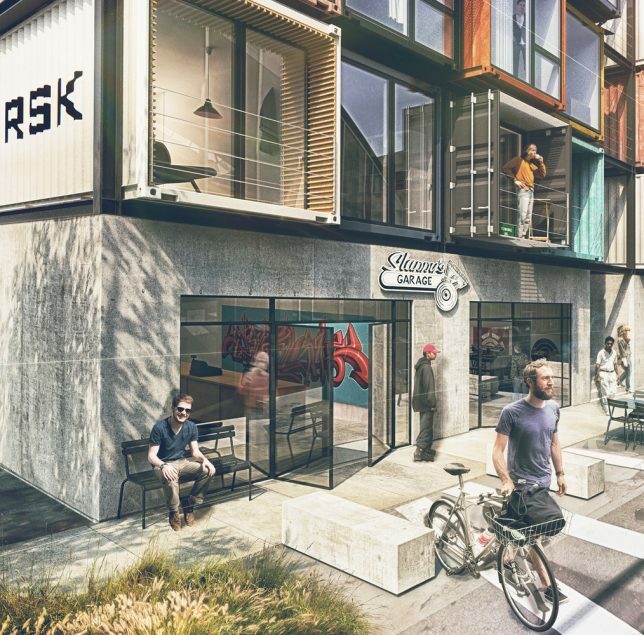 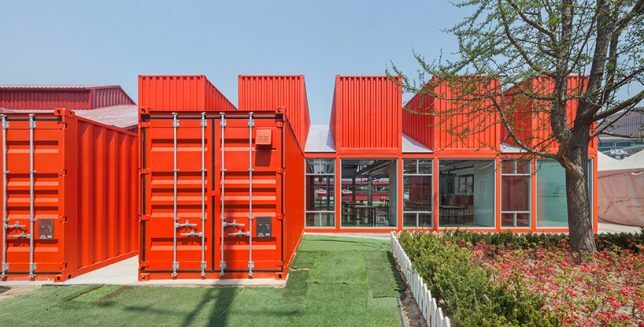 Multidisciplinary firm Starsis maximized natural light in the structure with their placement of the windows and created some new rooftop terraces adjacent to the containers. 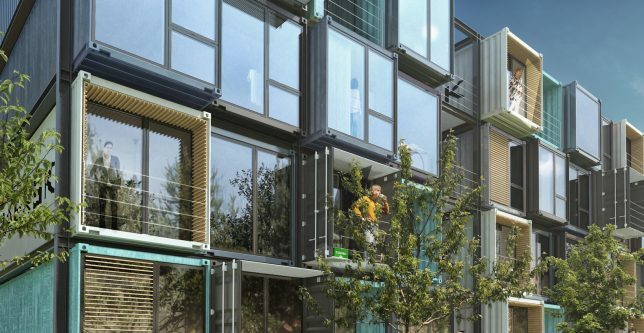 It definitely seems like one of the easiest ways to expand a structure. 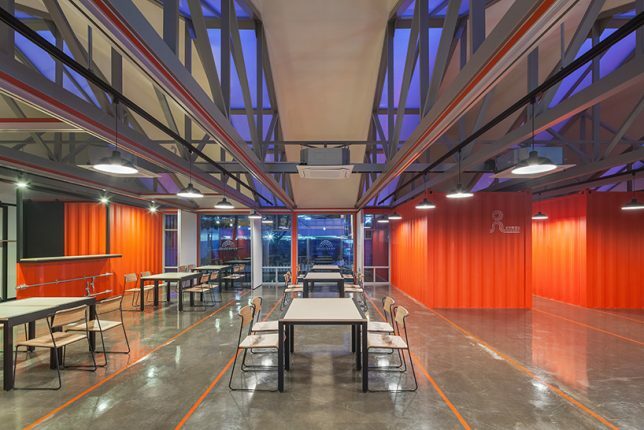 Shipping crates create a modular metal expansion called ‘Urbantainer’ for the National Theater Company of Korea’s main building, adding space for a lobby, communal lounge, bar and cafe while remaining in balance with the main building.The crates were inserted into the main shell to maintain a column-free internal space capable of hosting large groups of people; moving partition walls close or open various areas to allow the space to become one big theater.